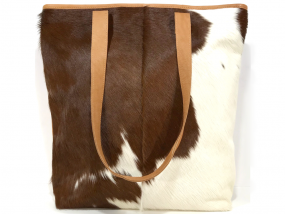 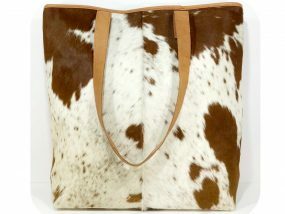 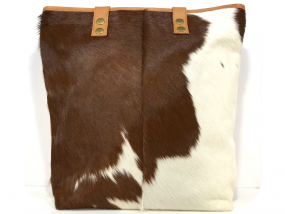 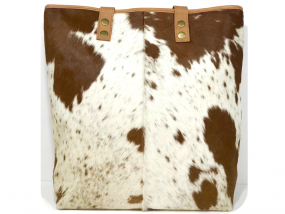 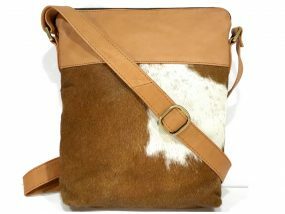 Statement genuine cowhide leather travel bag. 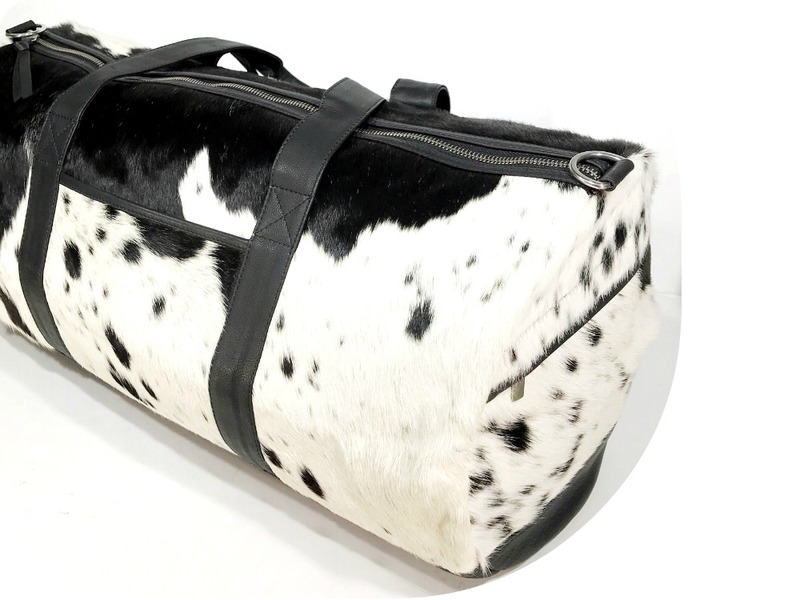 Duffel bag style featuring hair-on panels in natural black and white cowhide with black leather base, straps and trim. Heavy duty silver metal zipper and fittings. 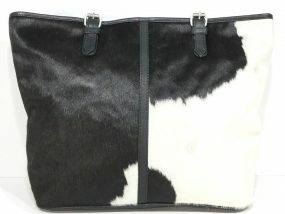 Detachable black leather shoulder strap. 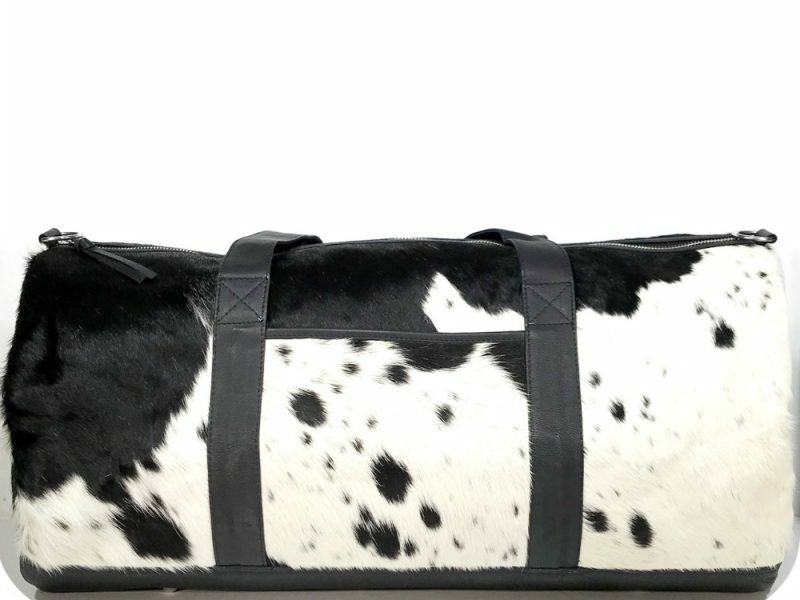 Metal feet to base of bag. 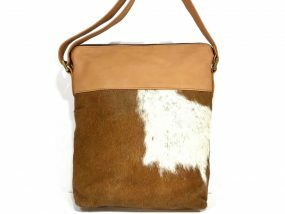 Main compartment features complete zipped closure and has a large internal storage capacity with a large internal zipped pocket. 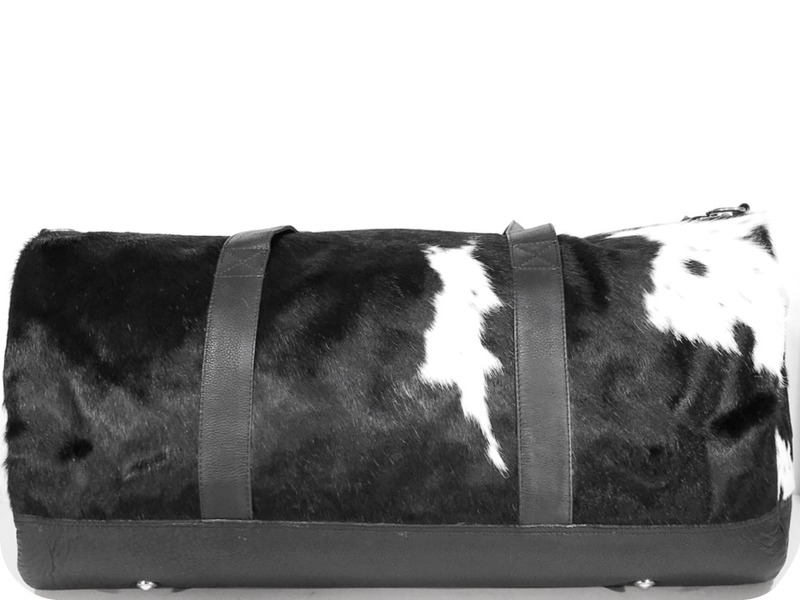 Fully lined with black fabric.